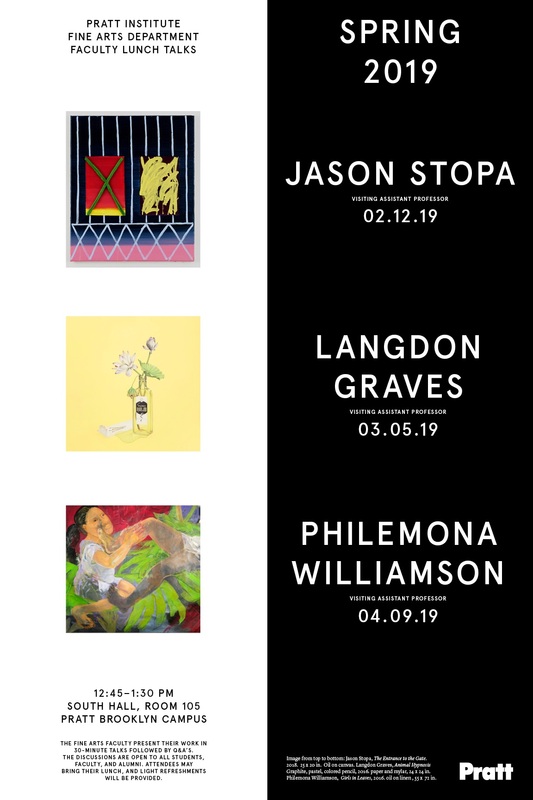 It’s Thesis exhibition time for our BFA Painting and Drawing students so we hope to see you at our Monday night openings each week, starting tonight! 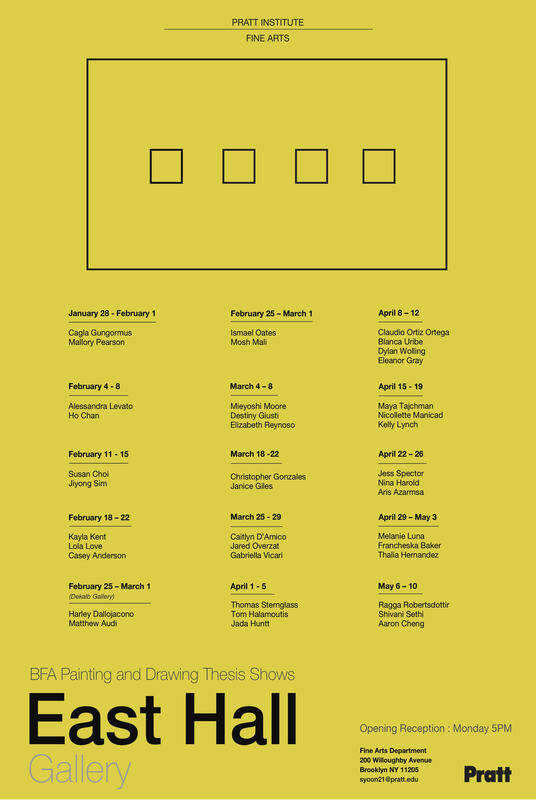 After spring break, our MFA and BFA thesis exhibitions open, so keep an eye out for details in this newsletter. 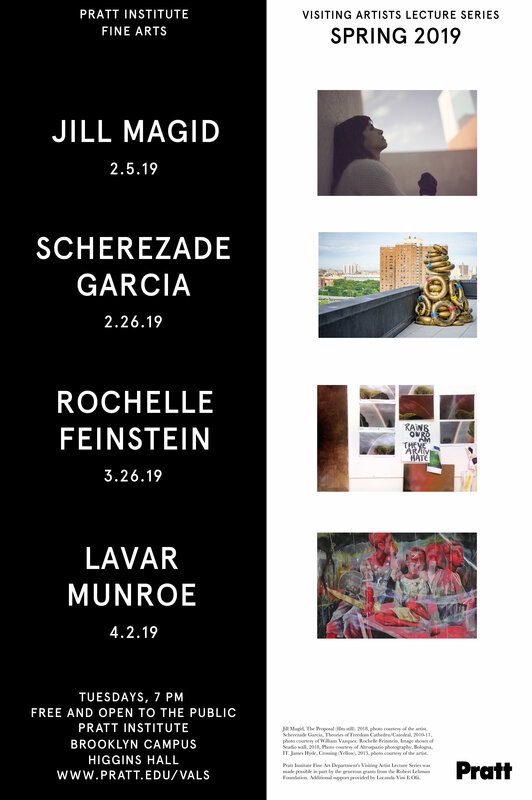 We have a great line up for our spring Visiting Artist Lecture Series and Faculty Lunch Talks, as well as a number of additional public events coming up, including a follow-up to last fall’s Long Table organized by the School of Art, Visiting Artist, Shaun Leonardo. It’s going to be an exciting semester! I look forward to seeing everyone out and about to celebrate our seniors and 2nd year MFA’s at their Thesis exhibitions. Pratt Institute’s Fine Arts Department offers a residency program that awards accomplished professional artists a private studio space located on our Brooklyn campus. Visual artists with a demonstrated commitment to their artistic practice who will benefit from a month-long studio residency are encouraged to apply. Our Studio Residency Program is intended to support artists by providing the time and space necessary to make work.